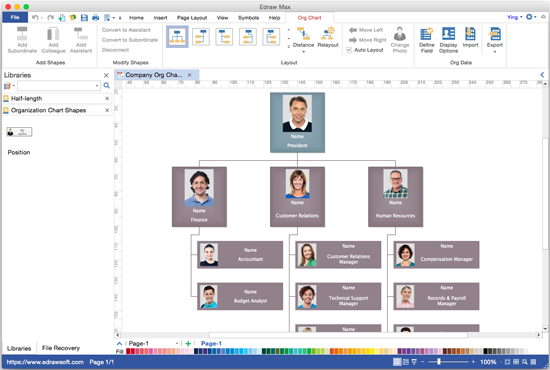 The functional org chart is one of several common organizational structure diagrams many companies have adopted and a clear depiction of how people are organized. Wherein employees are segmented based on their skills and specialties. Usually, people are grouped into departments and made to report to and follow their department manager. Each functional manager is responsible for supervision and direction with his or her department subordinates. This article aims for an explanation of functional org chart by five characteristics. As for small companies, their functional org charts get low hierarchy layers, therefore, it’s concise and clear which can make the company operate efficiently. Functional org chart performs well when the hierarchy layer is less than four. 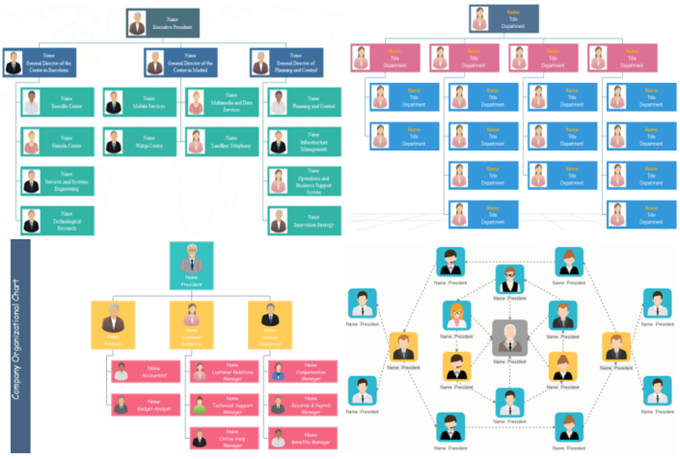 While as the company expands to a very large one, functional org chart would be much more complicated and redundant even cause bureaucracy which would make it hard to management and organization to respond to outer market quickly. Unlike matrix org chart, functional org chart forms vertically. One person is required to report to only one top manager which can avoid disorders in taking directions and generate great efficiency in work. It provides employees with great opportunities to get promoted from a strong sense of competition. The functional org chart puts together those with similar expertizes in the same field. So workers can become better at their field through discussion and knowledge sharing. In addition, high-quality in-depth training can give workers clear goals and right direction to reach them. Expertise generates high efficiency in work and improves productivity level. Since people with similar skills cluster in the same departments, it is possible for workers to do tasks effectively and confidently with a lower rate in the occurrence of work-related mistakes because of assistance and advice from their department members. Workers possibly get too much focused on their own departments’ goals to neglect cooperation with other departments ending with terrible ignorance in the big picture of their company.